Coming up on Mehek this April 2019? Kanta tries to get Mehek married off to Ajay, whose scheming mother is making things difficult for Mehek's family. Things look up for Norah as she starts making friends. Mehek happily chats to KK on social media, unaware of his real identity. Norah's resentment of Dennis is becoming more evident as her love life starts to suffer. Meet Shaurya Khanna, an arrogant restaurateur who meets Mehek for the first time. Meanwhile, Dennis contemplates moving back to Africa to save his family and Norah's relationship with Julius is compromised. Rajeev visits Mehek's house to convince her to enter India's Super Cook competition. Sonal has ideas on how to help Norah mend her broken heart. Norah is devastated to find that Julius has moved on after their breakup. Mehek's cooking saves the day. Shaurya schemes against Mehek on the first day of the cooking contest. Norah's online relationship with Karan is a troubling her as she realises, he is under the impression she was someone else. Mehek saves Shaurya from mob justice. Shaurya shows his lack of appreciation and insults Mehek. Eddie discovers concerning details about Dennis's new employer. Having failed to throw Mehek out of his show, Shaurya now plans to make her suffer humiliation on national television. Norah and Karan's relationship becomes even more complicated as they fall for each other on line. Shaurya and Mehek are locked up in an empty apartment building, their dislike for each other makes this all the more so challenging. Karan and Norah's meeting reveals a whole lot more than expected. Norah works on trying to prove her brother's innocence. Shaurya finds the flyer that Mehek's uncles made to advertise their shop using the India's Supercook name and plots their arrest. Jeevan and Ravi are arrested. Mehek gate-crashes Shaurya's party to beg him to release her uncles. Norah's secret is about to be revealed as the pair continues to fall for each other. Shaurya tries to beg Mehek's family to let her come back to the competition. Karan breaks up with Sonal. Shaurya spikes Mehek's drink but does not know what surprise awaits him. Norah's confused love life is becoming problematic. Shaurya's background is revealed by Karuna. He asks Mehek's family to attend a party, despite the enmity. Ajay proposes to Mehek. 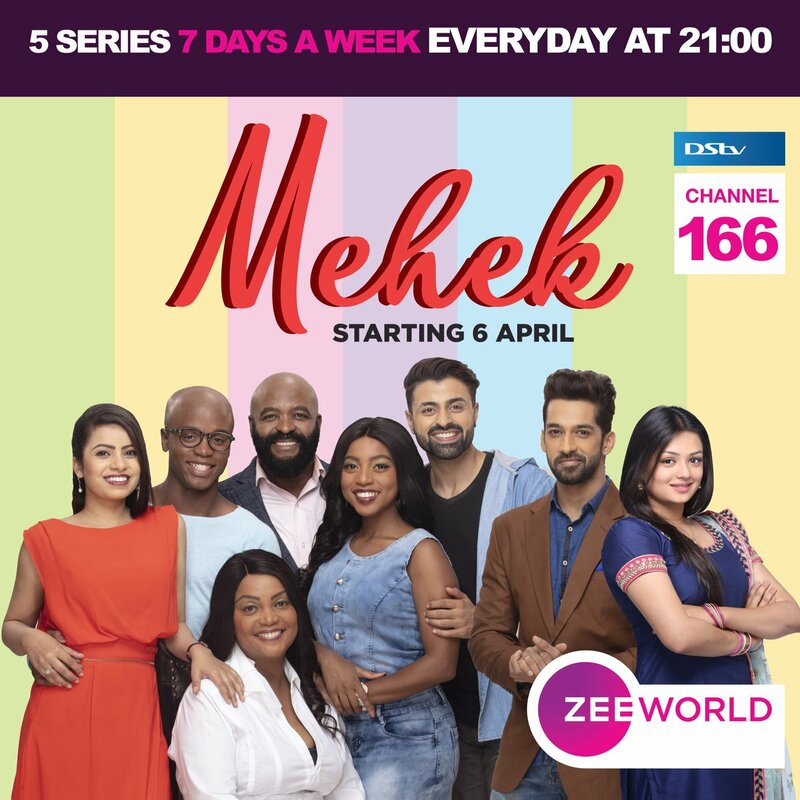 Premiere episodes of Mehek air on Zee World from Mondays to Sundays at 21h00.